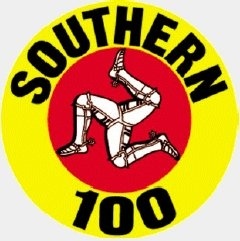 Southern 100, World and TT Champions return to the Isle of Man for the Isle of Man Steam Packet Diamond Jubilee Southern 100 International Road Races which are taking place on Monday, Tuesday, Wednesday and Thursday 6th, 7th, 8th & 9th July. Topping the list are the current Southern 100 Sidecar Champions, Conrad Harrison with ‘regular roads’ passenger Mike Aylott. This years TT Sidecar double winners and former world champions Ben & Tom Birchall also return with the aim of regaining the Sidecar Championship they won in 2012. Current Sidecar World Champion Tim Reeves with Mark Wilkes on board will be also hoping to see his name on the Sidecar Championship Trophy for the second time, having had his name engraved on it two years ago in 2013. Father and son Ian and Carl Bell claimed the honours in 2009. It was Carl’s first time, but his Father Ian is no stranger to holding the ‘Peel Engineering Trophy’ aloft, having won the Championship in 1999 & 2000 with Neil Carpenter as passenger. Ian also has the unique distinction of being the only sidecar driver who won the Solo Championship in 1987. 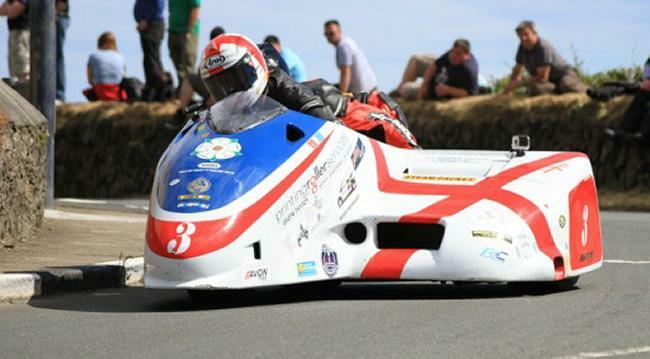 Six times Southern 100 Sidecar Champion, Manxman Dave Molyneux will also be present aiming to upset the hopes and dreams of the other previous champions, looking to add a seventh championship to his record as the most successful Southern 100 Sidecar Champion. 1997 champion Gregg Lambert has Jason O’Connor as passenger and can always be a strong challenger for the title, as can fellow ‘old-timer’ Ray Hanks and Kevin Perry. Add to the mix previous TT winners John Holden and Dan Sayle, along with Manxies Karl Bennett and Lee Cain amongst other top class drivers and passengers, there will be no shortage of close exciting, not for the feint hearted racing around the 4.25-mile Billown Course as the three-wheel warriors endeavour to take the top honour of being the Southern 100 Sidecar Champion in Diamond Jubilee year.